Need coupler ideas. Bought an m-100 with the lunette cut off. Jus picked up an m100 the other day in pretty decent shape. This is my first trailer build so I’m trying to keep the budget pretty low. 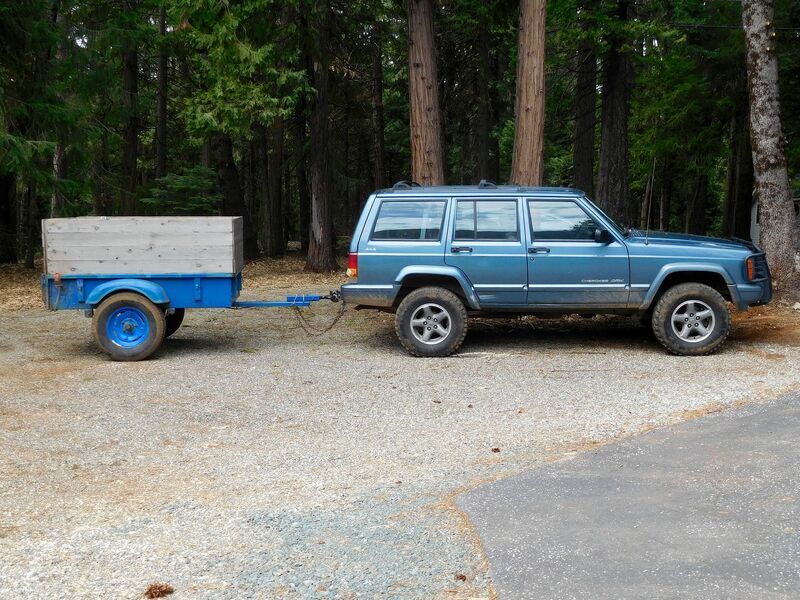 I just want a small functional utility trailer to pull behind my Jeep. This won’t see any rough terrain more than a dirt road or access road. Overall the trailer is in pretty good shape, I’m just now trying to put a plan together. I’m trying to straddle the line between low cost and cheap. I don’t want to spend a ton on something that might only get used every other month. Maybe for a trip to get drywall or something. 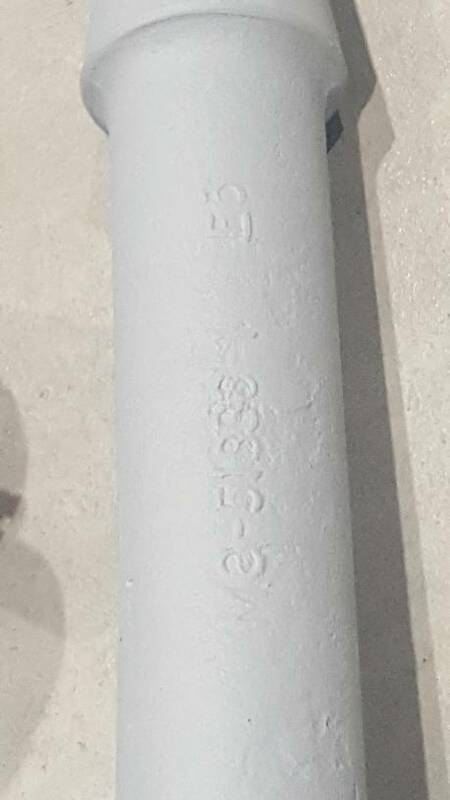 Any way, the lunette was chopped off and this 1 7/8 coupler was just bolted on. This seems a little unsafe, but also a little sloppy. 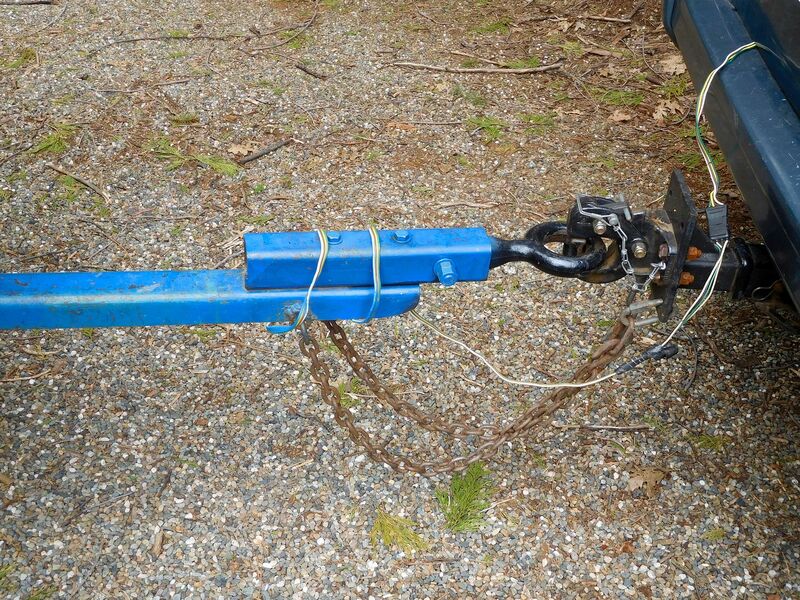 I would like to keep the original drop down leg, so I don’t want to hack apart the front end of this trailer too much. Also, I would like to put matching tires to my Jeep on the trailer, so I’m going to need to drop the tongue a few inches for it to ride level. Here is how it looks now. Any ideas would be greatly appreciated. I was thinking of putting a piece of 2” box steel around the cut end and putting two grade 8 carriage bolts through. Then welding another piece under that which would then line up with the receiver on my Jeep and also allow me to lengthen the tongue a little to make backing easier. The actual coupling I haven’t figured out yet. Here's an idea. This is on a Bantam trailer but a similar situation. You could just remove the lunette remainder and leave the casting. Allows a variety of couplers and tongue extensions. 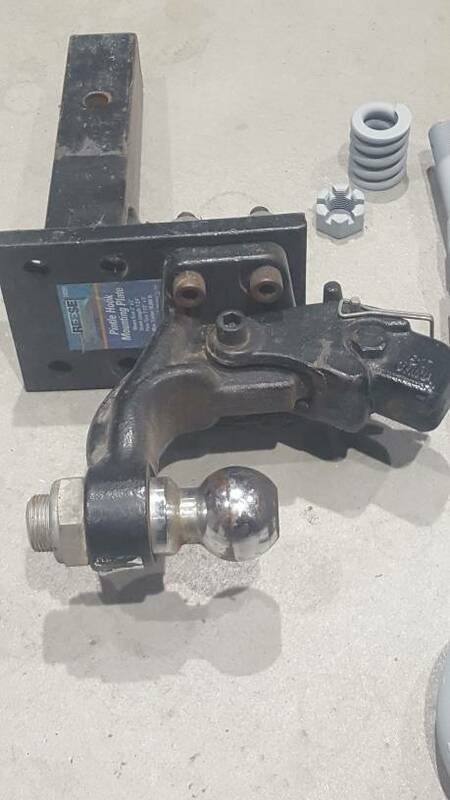 You could also use a different ball mount on your jeep to line up the coupler. I just fixed up an old Bantam trailer myself so I know what you are looking at. Good luck with your project. These old trailers are great. I really like that idea. Looks like that’s a long received extension. With the middle cut out and then bolted to the frame, or maybe something close to that. That might put me right where I want it to be. Maybe put one of these in the end. 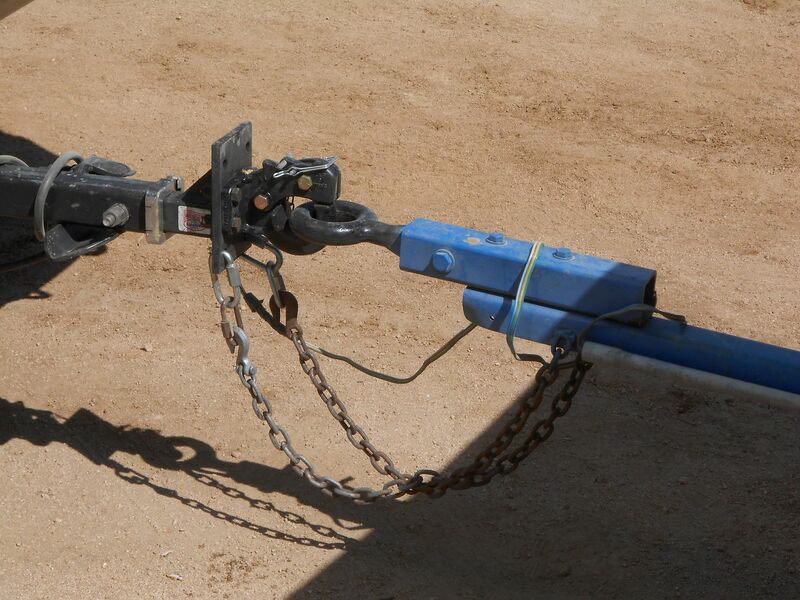 If you want to use the pintle hitch, just look for a replacement lunette. They are available if pricey. But would probably be less than a new coupler system, especially if you have to hire someone to do it. If you are a DIY welder/metal worker, then you have more options. I have also heard of people having a replacement lunette ring welded on to the remaining shaft. Need a qualified welder for that job. edit: here's a link to a lunette source: https://forums.g503.com/viewtopic.php?f=18&t=301218&sid=d373a46c330f44cd453c31b4d211cdb7 I have bought stuff from Midwest Military- it's a good source for quality parts. Thanks for the info. 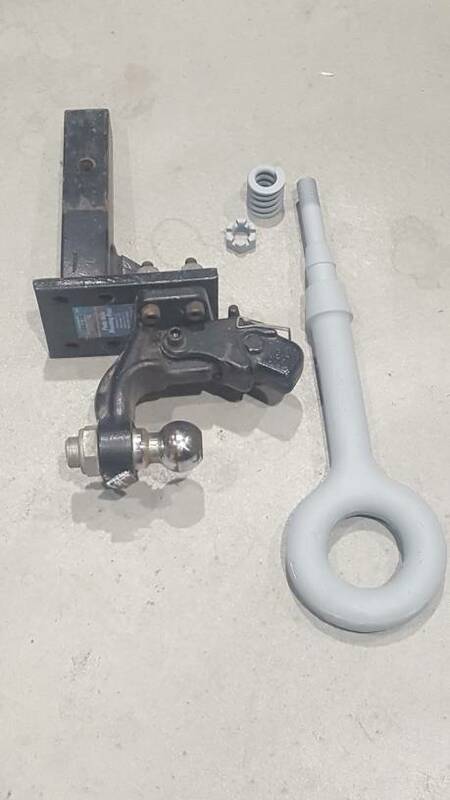 I’ve towed with a pintle hook before. I’m not a fan of the noise, but I figure I’ll buy that eye and the receiver from the same place and check sizes first. Hopefully there isn’t too much room to bang around. I feel like the replacement lunette would have been the way to go, but I want to go with a larger tire and that’s going to create a noticible rake. 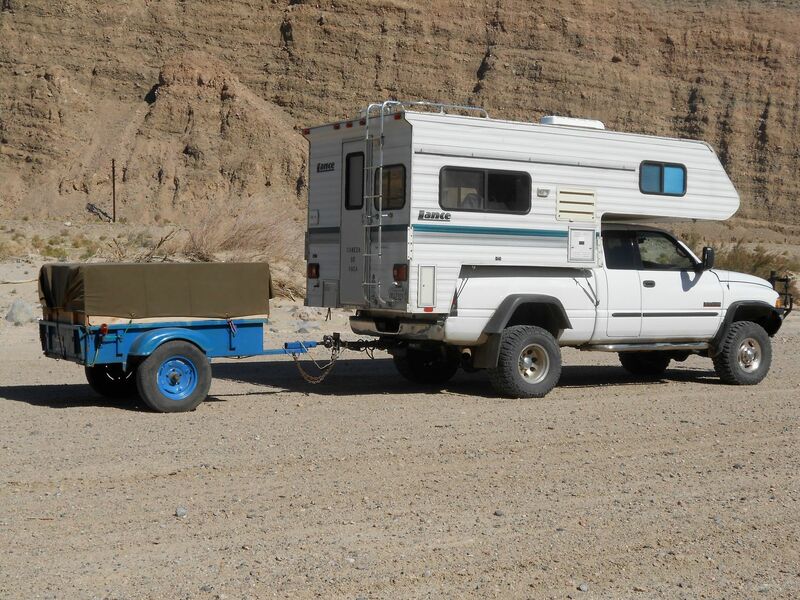 If I do the above idea, it will be closer to level to my hitch. I’m an ok welder so I’ll attempt the receiver extension myself, but I would never attempt to weld on a new ring. That’s cast isn’t it? I sell propane and welding supplies, so I do know some good welders if I decide to go that route. Lunettes are forged steel. Welding is easy. There is alot of material to work with too, even a half fast welder can blob on enough steel to make a suitable joint. Oh well that’s good to know. I still don’t think I’ll weld it. I need it lower to line up with my hitch. I installed a pintel and lunette on my 1955 Bradley using bolt on parts. and the level with my XJ to Bradley: The pintel has 3 adjustments as to height. This is great. Simple. Bolts on. I’m guessing you went with that length to make it easier to back up? I definitely want to add at least a foot to the tongue. I’m used to big trailers, and this little one is definitely going to take some getting used to. This is why I went with a pintel: The cup part of this connection was cracked and hogged out after this trip: I hope it plays. Not sure if it would be a match, but I was about to list a pintle for sale. Let me know if you're interested. When I used it briefly, I didn't really notice the noise, and the adjustable hitch I used between 2 lift heights. It was perfectly adjustable. thanks. I don’t think I’m going to replace the lunette though. It sits too high and wouldn’t line up with my hitch height. 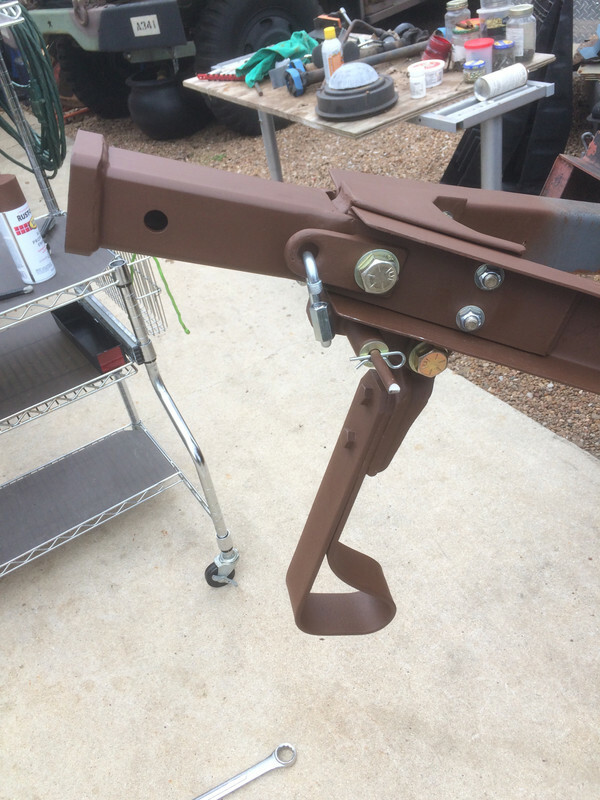 Part of my goal is to keep the ability to access my back door with the trailer attached, so an adjustable hitch is out. It would block the back door from opening.